Revisit women's clothing style from yesteryear with these gorgeous and free vintage patterns! If you love any and all things nostalgic, you'll love 11 Free Vintage Patterns: How to Sew Retro-Inspired Clothing for Ladies. This download is a free eBook full of eleven tutorials that will remind you of yesteryear. Learn how to sew clothing that gives you the looks that made waves when they first appeared years ago. You'll only find free vintage sewing patterns in this collection, and the download itself is completely gratis. Download your free copy of the 11 Free Vintage Patterns: How to Sew Retro-Inspired Clothing for Ladies eBook today! Within the last few years, an apparent movement towards all things thrifty has overtaken the fashion world. From young groups of kids to old hands at style, old-fashioned fashion appears everywhere. Call it the economy, call it a passing fad; the reason for reviving mom's flair takes a backseat when you notice how thrifting has translated into vintage-inspired designs everywhere in the twenty-first century. While quality resale stores are sometimes hard to come by, quality vintage sewing patterns aren't. AllFreeSewing leafed through its pages and pulled together 11 Free Vintage Patterns: How to Sew Retro-Inspired Clothing for Ladies. From this roundup, find everything from free sewing patterns for beginners to projects for the more experienced hand. Both big and little, for adults and children, these old sewing patterns are sure to become newfound favorites for you and yours. Gather your favorite retro prints, fire up the old machine, and enjoy these tutorials on how to sew clothing. This free eBook is a great free sewing download for all kinds of sewists! For the thrifty sewists that appreciate free online sewing patterns, but often get overwhelmed with the amount of choices, this collection is pretty fabulous. After all, when it comes to sewing patterns, free ones are the best; don't waste time pulling your own, we've done that for you. You can download this eBook and have 11 fabulous free vintage sewing patterns at your fingertips. There is no type of free sewing pattern that our readers love more than free dress patterns. They are insanely popular and there's a reason why. These wearable patterns are always cute, always charming, and usually pretty easy to make. Learn how to make a dress with these vintage sewing patterns for sewing dresses. Download this free sewing eBook for some dresses you're going to love. Fabulous Mod Dress (pg. 5): When you're after sewing patterns for kids, this tutorial should definitely be a contender. 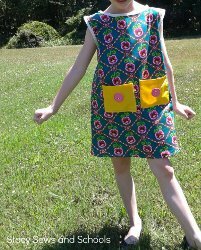 Make this cute 60s-inspired dress for your little girl. Versatile Little Black Dress (pg. 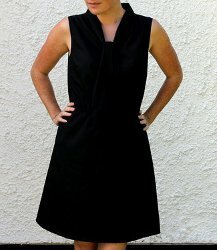 22): A collection of free vintage sewing patterns couldn't be complete without a LBD in the mix. Don't have time to make a whole dress? No problem. We have some quicker old school ideas in this eBook too. 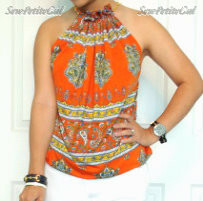 It is time to learn how to sew a top you are going to love. These ideas are groovy and cute. Whether you just want to look stunning during the day or need something for a night out on the town, one of these tops to sew that is going to look great on you. The DIY Discotheque Top (pg. 28): Learn how to sew a shirt that will give whomever wears it Saturday night fever. The Scarf Tee (pg. 30): Top off your wardrobe with a cutting-edge design that utilizes much-loved scarves from yesteryear with this tutorial. But wait! There's more. We have even more free sewing patterns that look like back-in-the-day stunners. 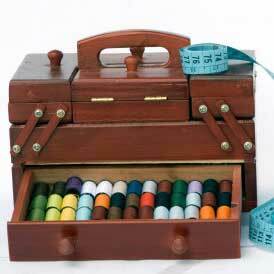 Find even more vintage sewing ideas in this fabulous eBook! With an adorable skirt and a great headband idea, you can add even more 60s and 70s swag to your wardrobe. Classic Skirt (pg.35): Once you don this skirt on, you'll have to do a double-take. No, it's not Grace Kelly, it's you in this classic, DIY skirt. 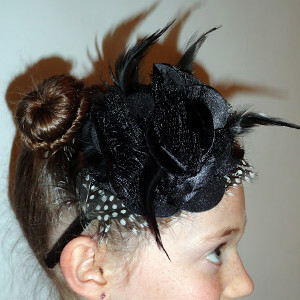 Flapper Feather Headband (pg. 39): After you've learned how to sew retro clothing, indulge in a no-sew headpiece that recalls days of flappers and fun. AllFreeSewing eBooks are free, downloadable craft collections organized around a theme, such as holiday crafts, party crafts or crafts in 30 Minutes or less. These eBooks are PDF documents that can be downloaded off our website, saved to your computer, and/or printed out for easy reference while crafting. We think eBooks are a great way to offer a free collection of patterns to our users. What's your favorite fashion era? Let us know below in the comments! I really like your articles. These vintage patterns are really very attractive and best for teen. I love vintage designs. I like that this eBook offers more than dresses, too! I just like it and love the dresses patterns ! your site is 100% good, better, awesome and genuine . you have to do is make your site SEO, or search engine friendly ! thanks a lot ..... you did a great work. Estou super feliz e vou comear a fazer os vestidos para mim! Estou super feliz e vou comear fazendo um vestido para mim. L am so glad I have fond your web site. I need help on how to use the differint kinds of singer sewing machines feet. can you help? Hi! I recommend checking out our Sewing Tips and Tricks section here: http://www.allfreesewing.com/Sewing-Tips-and-Tricks If you do not find what you are looking for, you can always ask our very active Facebook community! Hope that helps. I thought these patterns might be good but i was wrong. It could just be that I'm a cynical old man? ?